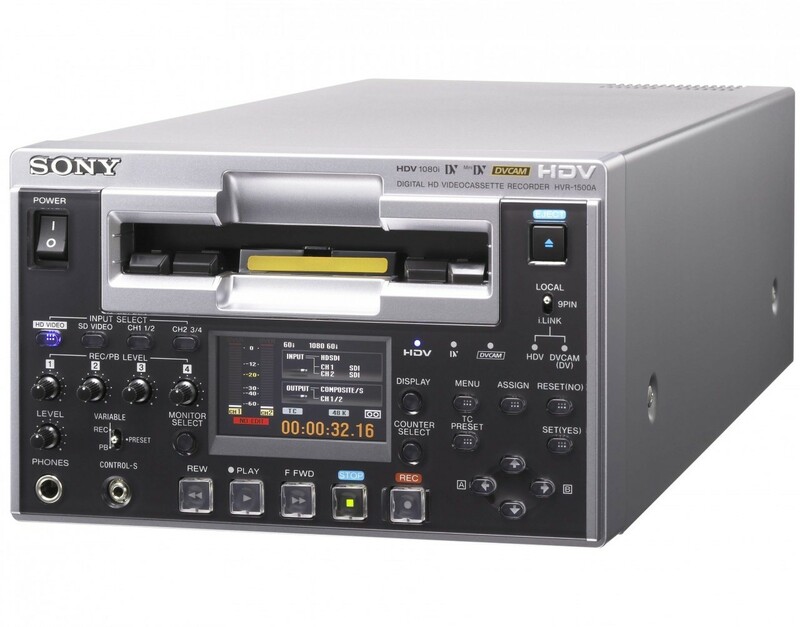 The HVR-1500A Digital HD Videocassette Recorder is the successor to the HVR-1500. In addition to its robust functionality, HD-SDI input is pre-installed on the HVR-1500A. As an HDV™ source feeder/recorder the HVR-1500A is positioned as the high-end HDV deck in Sony’s HVR series. 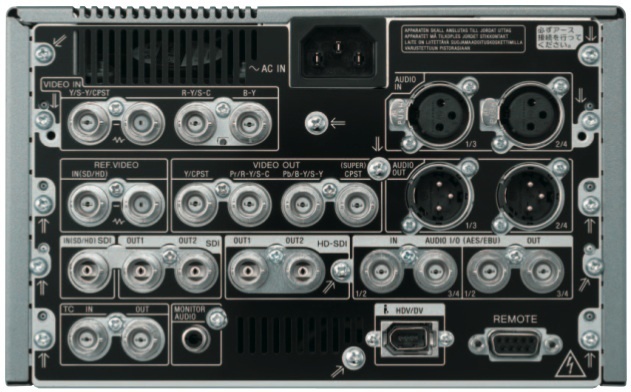 Inheriting the design concept of the market-acclaimed DSR-1500A, the HVR-1500A offers the same convenient features that professional users demand, such as quick mechanical response, multi-format DV playback, and a rich set of professional audio/video interfaces ranging from analog to SDI and AES/EBU. Additionally, the HVR-1500A offers HD-SDI input/output and RS-422A control capabilities, bridging HDV source material and assets with high-end HD formats and HD editing environments. The HVR-1500A can also be used as a standard definition DVCAM™ recorder with the same editing features as the DSR-1500A. Please note: The HVR-1500 can play back but not record 720/30P signals. When 720/30P recordings are played back, their signals are converted to 720/59.94P. The HVR-1500A cannot play back 1080/24P, 1080/25P, 1080/30P, 720/24P, or 720/25P. Rent the Sony HVR-1500A HDV VTR from Deck Hand Camera Rentals Today!